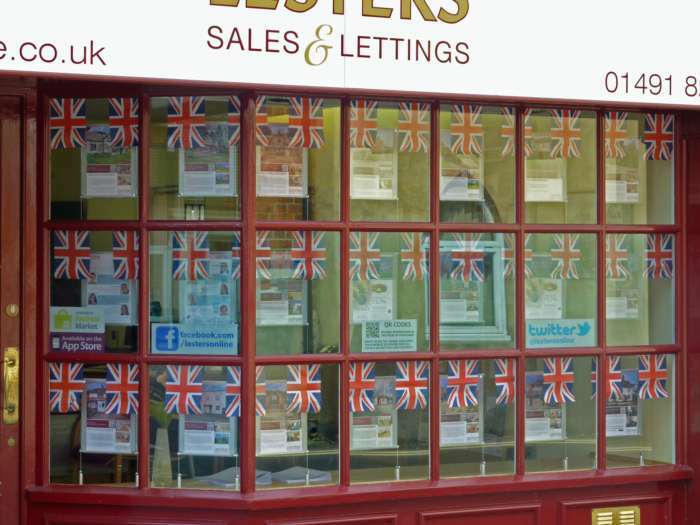 Winterbrook Estate Agents - News- Lesters Have Triple Celebrations! Looking forward to the Queens Diamond Jubilee Lesters deck their Wallingford Office with bunting for the celebrations. With the town in its full glory with many of the shops and business’s decked out for the weekend it’s opening as normal for a hectic weekend of festivities including the Jubilee celebrations and the Beers and Blues festival in the town centre. All the staff working at the office live locally and will be supporting the local events as usual the office is open for business on the Saturday the second 9-5pm. 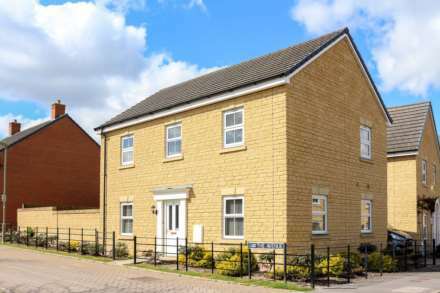 Lesters are also celebrating their own anniversary this year with twenty years successfully moving and renting properties in South Oxfordshire since 1992. There was also double celebrations this week as the office also topped the table with findings from ‘For Sale Sign Analysis’ Independent Market Share Reports in the United Kingdom declaring Lesters was the Estate Agent with the highest number of SOLD boards in the area from their survey carried out on the 14-16th May.